Some people say that you can’t teach leadership in a classroom. In some ways I agree, because learning leadership should be like learning to walk – something a baby finds difficult and scary, but evidently possible as there are so many role models doing it. I have been teaching leadership for five years and one of the benefits of teaching, is that your “radar” is on continuously looking for real-life examples of theory. 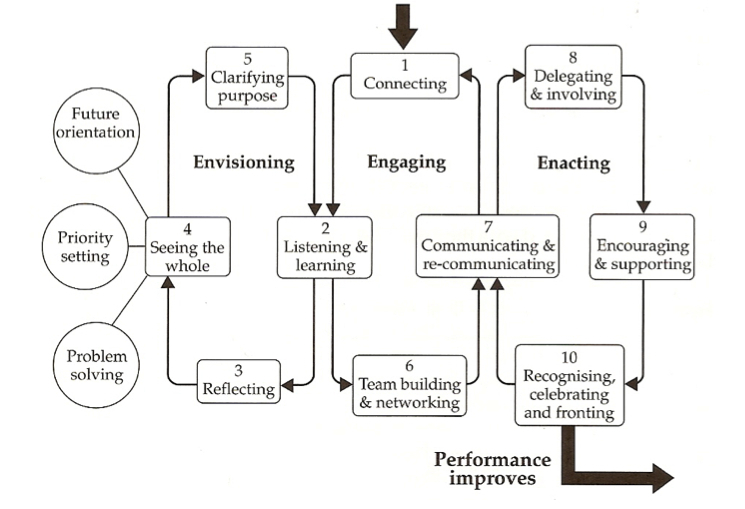 In my class I use two models from Dr Peter Cammock’s The Dance of Leadership. I love these models for their simplicity. My students have road-tested them and found them to be powerful and easy to use. 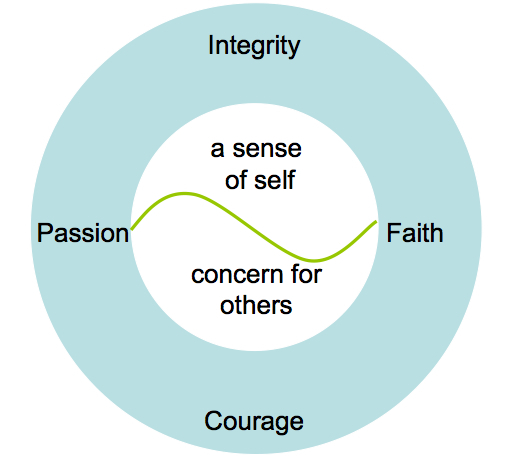 This model harmonises the two core fundamentals of leadership, knowledge of self and concern for others. Great leaders, from parents to more public examples of leadership are exemplify this. I think of Sir Peter Blake, who was so confident in his own ability, and so caring of his crew. Or my mum, who I never heard speak ill of anyone. Surrounding the heart of leadership are four “qualities of character”. Peter Cammock has chosen integrity, faith, courage and passion. We could just as easily choose other qualities of character as I suspect that they all link to one another. While the “heart of leadership” models who we should be, the 3 Es model shows us how to lead. At its simplest it is a three-step model: envision – engage – enact. This is easy to remember and relate to. Peter Cammock weaves these three core leadership roles into a prescription for leadership and change that is applicable to most human endeavour. The three-step model elaborates to 10 steps. Good leaders follow this process naturally. They know when to talk, they know when to roll their sleeves up and get involved, and they can zoom out and zoom in to see the big picture as they need to. This is reminiscent of Ron Garan’s “orbital perspective” and Muhammad Yunus’s “worm’s eye view” from an earlier post. If you imagine “knowledge of self” as an aspect of an organisation’s engagement ethos, “concern for others” balances the organisation’s needs with stakeholder needs. The 3 Es model exemplifies leadership of change. The leader is in there helping people to create shared vision and working with the willing. Do you know someone who exemplifies these models, or do you have an example of how they align with your leadership? This entry was posted in leadership, Stakeholder engagement and tagged engaging, envisioning, heart of leadership, leadership, Peter Cammock, the dance of leadership. Bookmark the permalink.